"All this is the result of the Hitler-insanity, which has completely ruined the lives of all those around me." 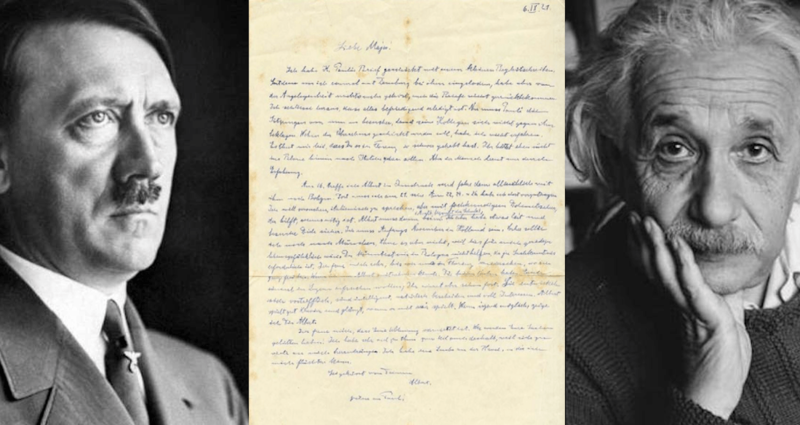 A collection of letters written by Albert Einstein is set to be auctioned on March 28. And his concerns over the rise of Adolf Hitler and Nazi Germany expressed in these letters have garnered some much-deserved attention. According to Fox News, much of Einstein’s concerns come in three separate letters penned before World War II even began. “I am supposed to go to Munich, but I will not do that, because this would endanger my life right now,” wrote Einstein. He also expressed his pride regarding his son, Hans Albert, and some of his early achievements. The letter’s minimum bid at the Nate D. Sanders auction house is set at $12,000. 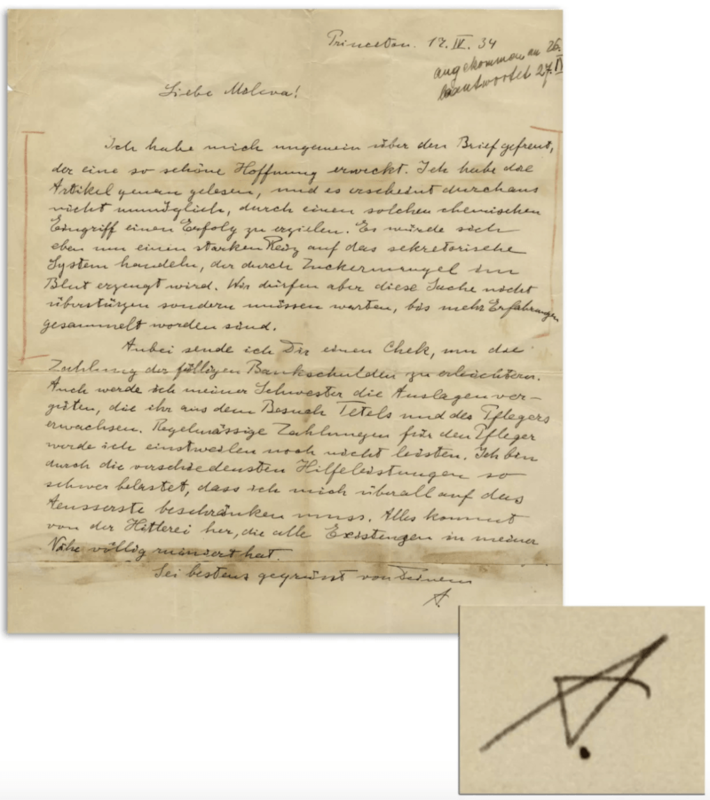 Nate D. Sanders AuctionsThe letter that explained Einstein’s aversion to a trip to Munich. The second letter was penned in April 1934. At this time, the Nazi Party had already officially taken hold of Germany. Hitler had already been appointed chancellor and was beginning to put the Nazi agenda into action on a national level. He also explained that he deeply shared his wife’s concern over their son’s recent diagnosis of schizophrenia. Nate D. Sanders AuctionsEinstein’s letter detailing his thoughts on potential treatment for his son’s schizophrenia. He ended the letter by promising payments for the couple’s bank debts, as well as expenses for their son. In the end, he admitted that all of life’s personal struggles were compounded by Hitler’s maniacal rise to power. This particular letter currently holds a $25,000 minimum bid. Nate D. Sanders AuctionsEinstein’s letter expressing his hope that the Jewish people can overcome the struggles of the mid-20th century. This letter has a minimum bid of $12,000. 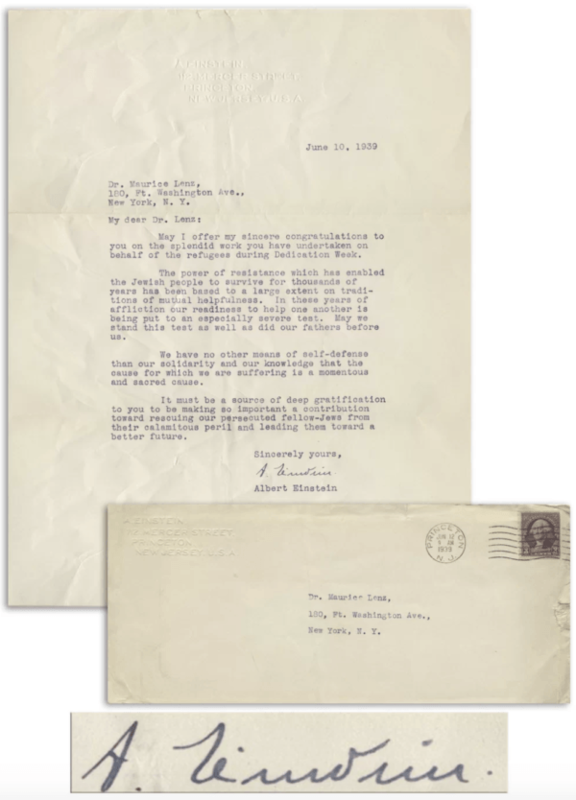 Einstein’s letters have garnered increased demand at auctions in recent months. 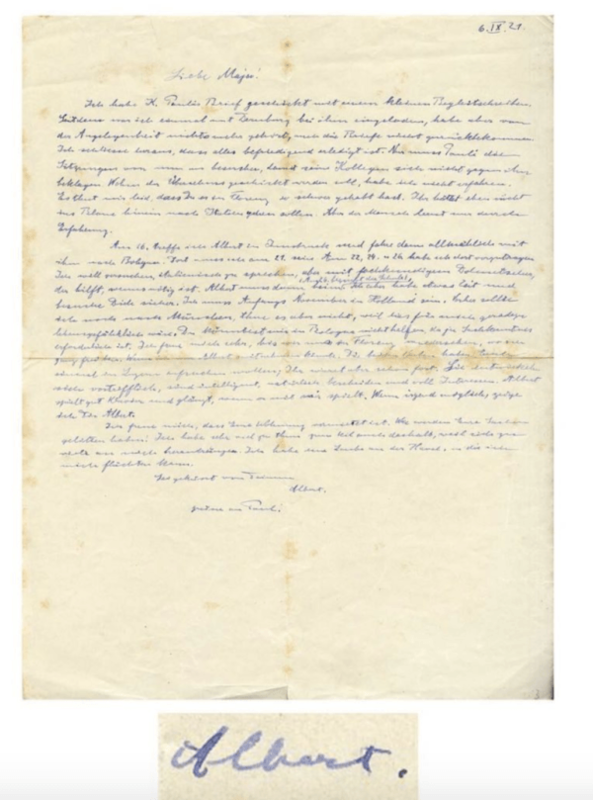 A letter to his father, in which he described his Jewish faith and “man’s eternal search for meaning,” sold for a record-breaking $2.89 million. 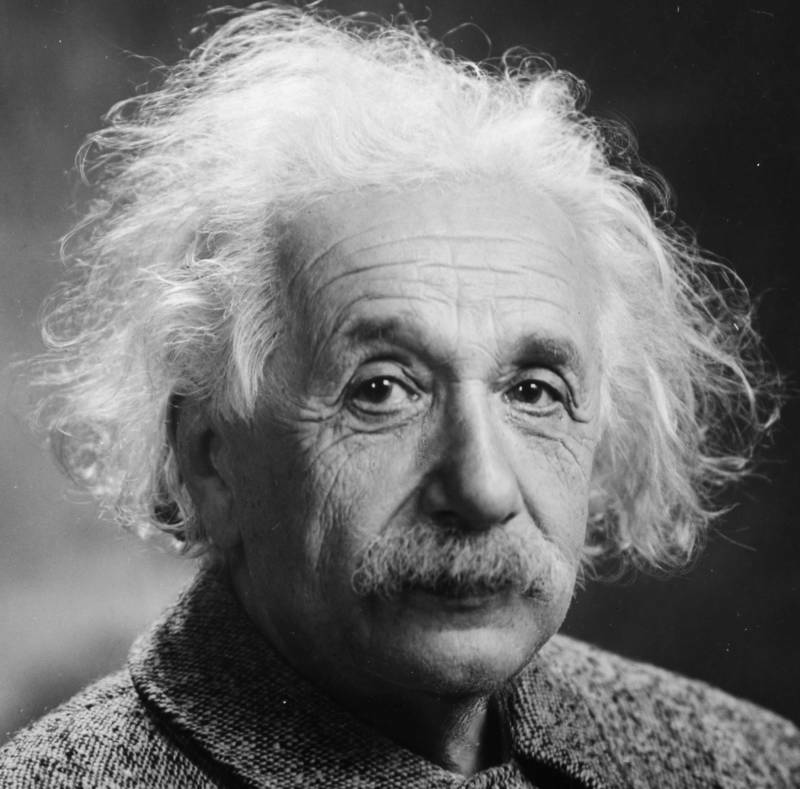 After learning about Albert Einstein’s letters expressing fears of growing anti-Semitism and Adolf Hitler’s rise to power, take a look at these 25 fascinating Albert Einstein facts. Then, learn about the election that put Hitler in power.